Symetrix will debut several new products and updates at the 2017 Integrated Systems Europe (ISE) show in Amsterdam. Attendees can check out the latest Composer software developments for Symetrix Radius, Prism, Edge, and Solus NX series DSPs and accessories. Adding to Composer's support for an existing array of third-party products from Clock Audio, Powersoft, Ashly, Attero Tech, and Stewart Audio, recent releases have included integration of the Shure MXA910 and MXA310 advanced beam-forming array microphones and the Audio-Technica ATND8734 Dante mic module. In an upcoming Composer release, Symetrix Dante-enabled DSPs will support AES67, providing enhanced network audio interoperability. In addition, Symetrix has launched a USB Interface card for Radius and Edge DSPs. The optional card supports up to eight input and eight output channels for courtroom, meeting archival, and other multichannel recording applications. Also of note are driverless "plug-and-play" profiles for the 2x2 line I/O and 1x1 speakerphone, coupled with the ability to disable soft codec AECs in favor of Symetrix hardware AECs. 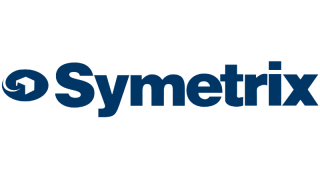 "Our native software support of select Dante-enabled third-party products reinforces our position as the pre-eminent DSP provider for Dante-based systems,” said Trent Wagner, Symetrix senior product manager. “Our upcoming support for AES67 adds an unparalleled level of network audio interoperability, enabling Symetrix customers to design systems with greater flexibility and fewer restrictions than ever. In particular, we're very pleased with the pairing of our Radius AEC and Shure MXA910, having already deployed the duo in hundreds of installations since last August." Symetrix has also announced that its 2 Line VoIP Interface Card, as of Composer version 5.41, is compliant with key teleconferencing solutions from Avaya. The VoIP card natively integrates with both narrow and wide-band audio codecs, providing a full range of telephony functionality. The 2 Line VoIP Card has been compliance-tested by Avaya for compatibility with Avaya Aura Session Manager 7.0.1 and Avaya Aura Communication Manager 7.0.1.1 FP1 SP1. At its ISE booth, 3-A122, attendees can review the entire line of Symetrix products including the recently released "stand-alone" Solus NX series as well as a new addition to the Prism family, Prism 0x0, a processing, mixing, and routing engine for Dante-enabled end points.